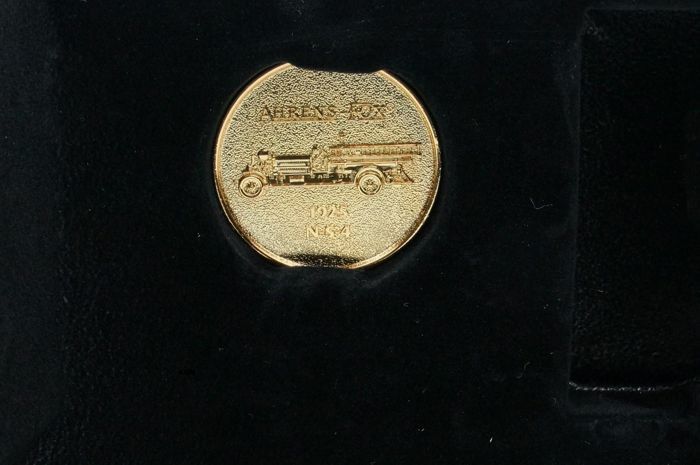 Ahrens founded his own company and in 1891 he hired a brilliant young man from the fire department of Cincinnati to join him. 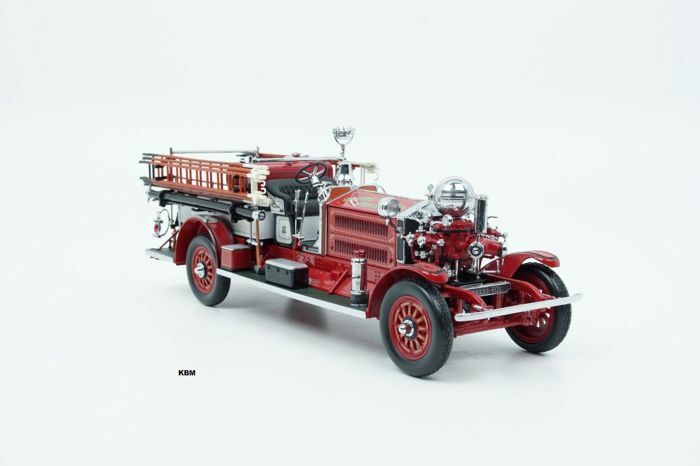 Charles Fox had joined the CFD in 1882 and in 1889 he had risen to become Assisant Chief, Master Mechaic and Architect of the fire department. 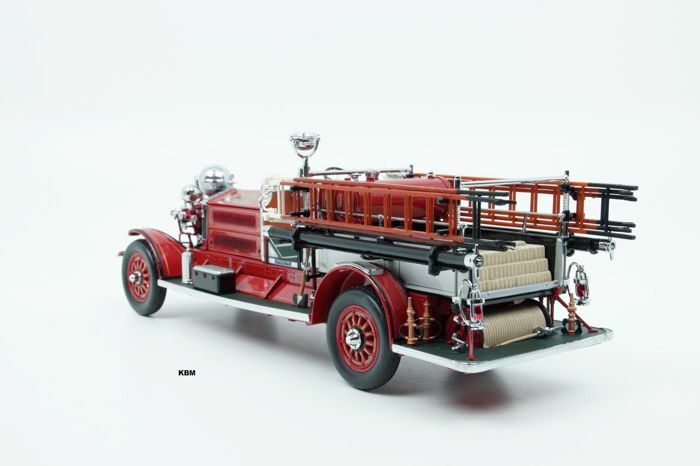 In 1892, Mr. Fox married the daughter of Ahrens and in 1911 Charles Fox became president of the Ahrens-Fox fire engine. 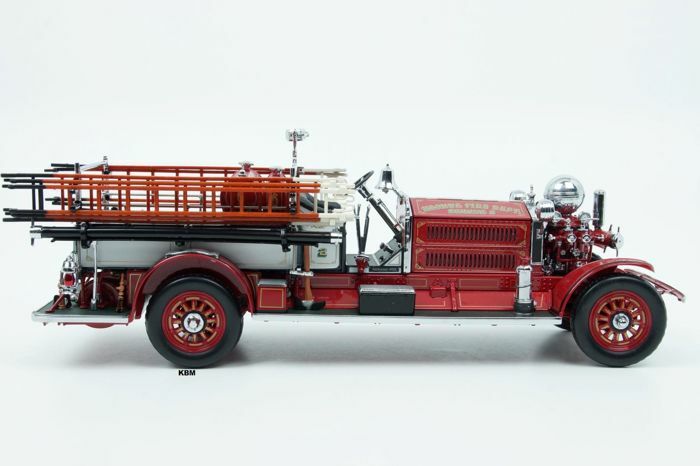 Under the direction of Fox, the Ahrens-Fox became one of the first builders of the motorized fire department. 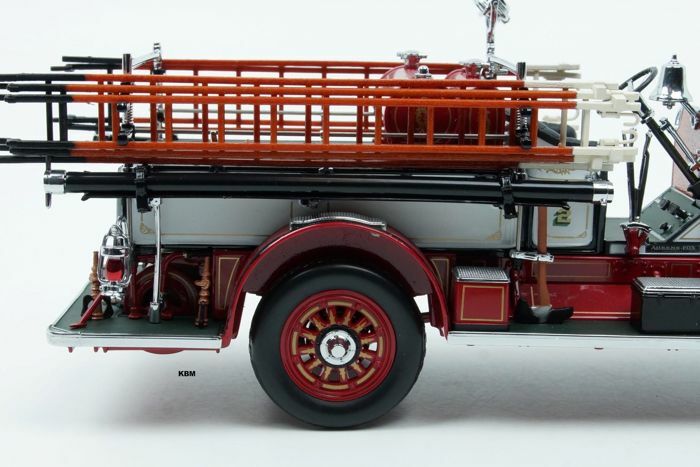 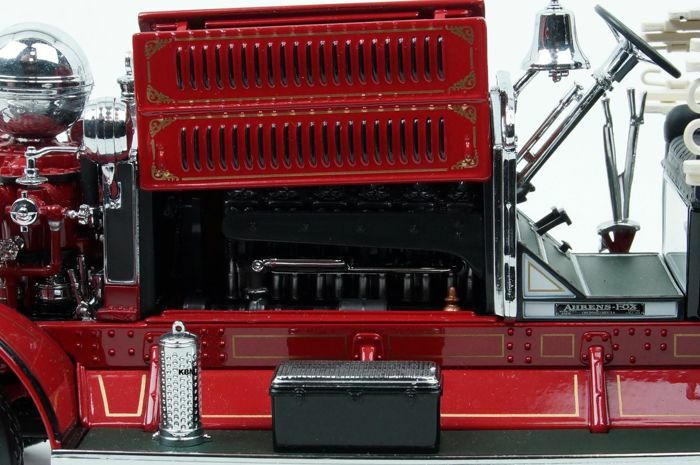 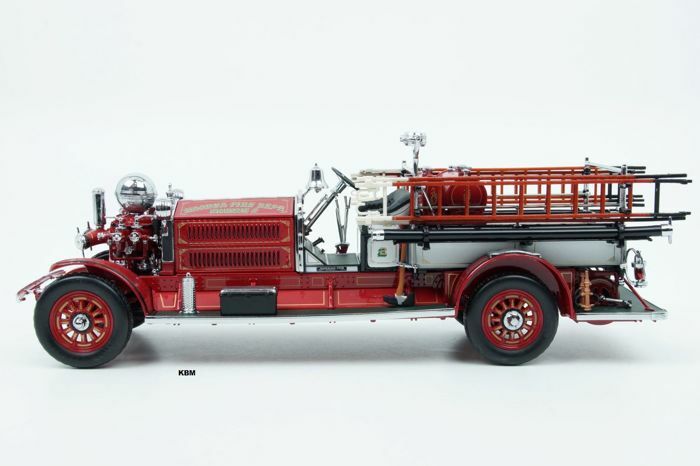 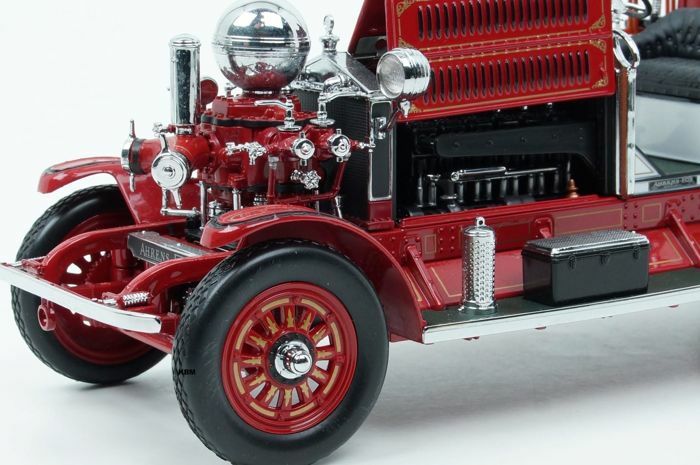 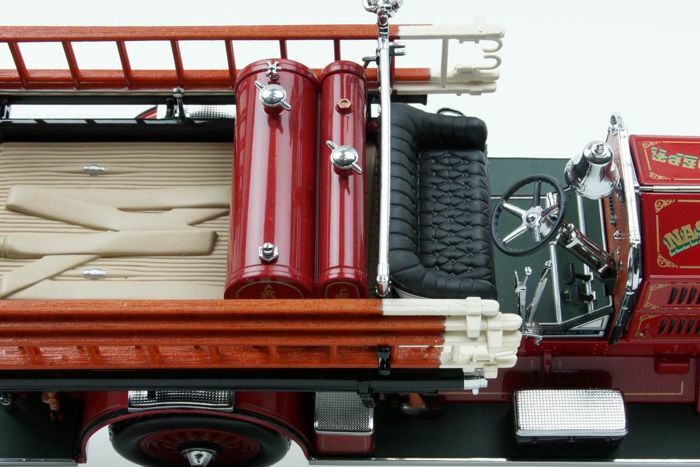 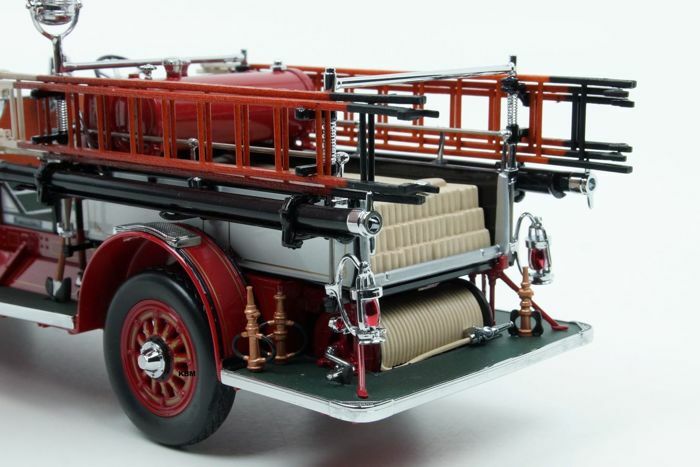 This authentic model of the N-S-4 is the most successful fire engine ever made by Ahrens-Fox. 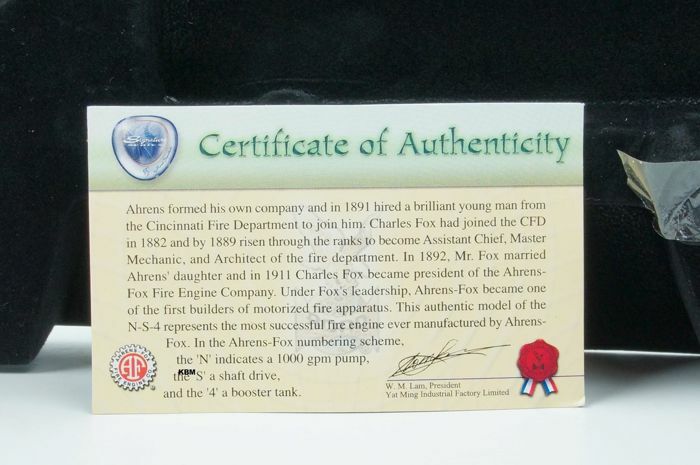 In the Ahrens-Fox scheme with this the N-S-4 and the meaning is the 'N' 1000 gmp pump. 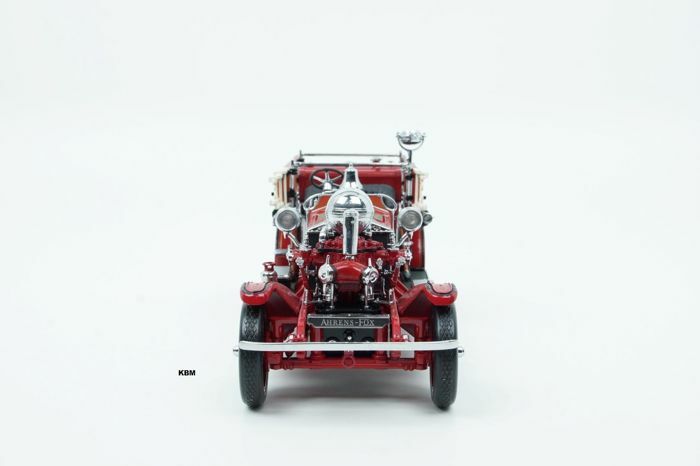 The 'S' is the cardan drive and the '4' is the booster tank. 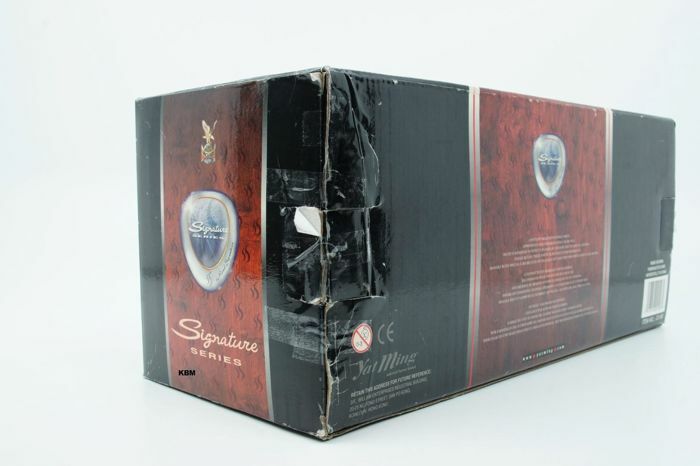 This model is made in limited edition with certificate and 24 k gold coin. 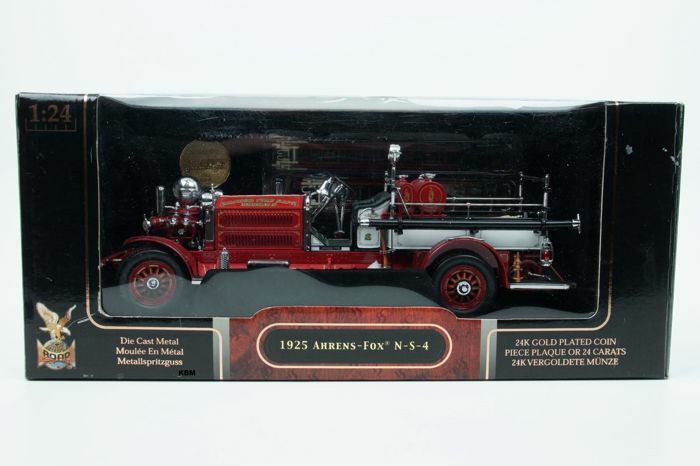 This American fire truck is in mint condition and in the original packaging has this damage, see the photos.